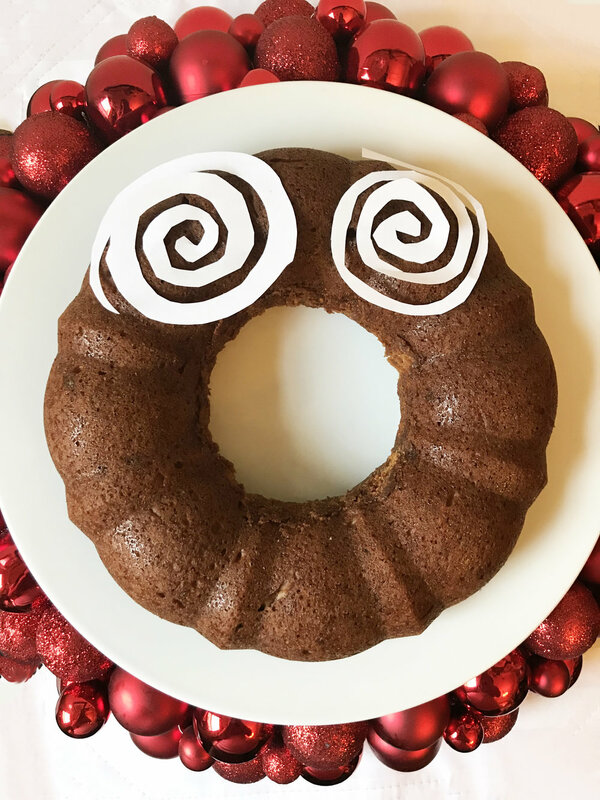 I always find myself making a plethora of gingerbread-related treats at the holidays, and the King Arthur Flour recipe below may just be my new favorite! 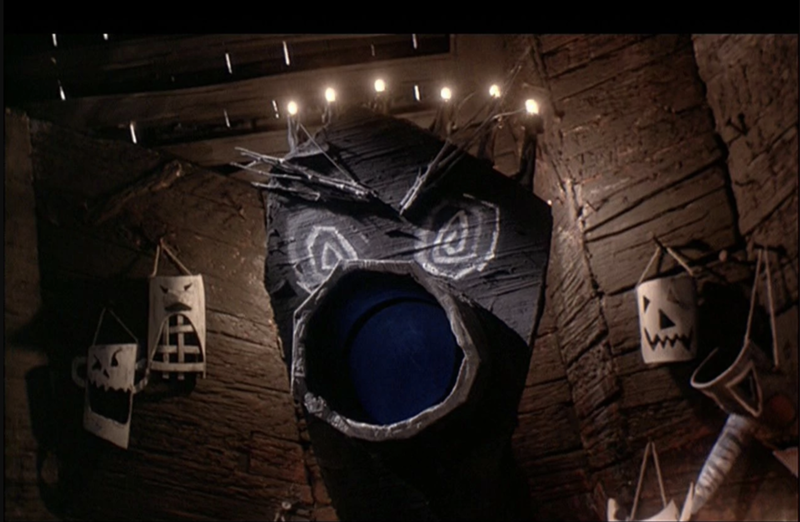 The dark shape of the bundt seemed like the perfect excuse to decorate the cake like the tube in Lock, Shock, and Barrel’s house that leads to Oogie Boogie’s underground lair. Preheat the oven to 350°F. Lightly grease a 10- to 12-cup bundt-style pan. In a large bowl whisk together the flour, gingerbread spice, salt, baking soda, and baking powder. Set aside. In a separate bowl, beat together the butter and sugar until fluffy. Add the eggs one at a time, beating well and scraping the bottom and sides of the bowl after each addition. Stir in the molasses. Add the flour mixture in three additions alternately with the water, starting and ending with the flour. Mix just until smooth. Pour the batter into the prepared pan, smoothing the top. Bake the cake for 55 to 65 minutes, or until a cake tester inserted into the center comes out clean. Remove the cake from the oven, cool it in the pan for 10 minutes, then turn it out onto a rack. Allow it to cool completely before serving.